Cambodia is a developing country emerging from decades of civil conflict and economic stagnation and moving towards becoming a dynamic economy in the Association of South-East Asian Nations. The country has achieved impressive economic growth since the mid-1990s, and has made significant progress in reducing national poverty. It is ranked 139 out of 187 countries on the UNDP 2011 Human Development Index. (source: UN World Food Program). 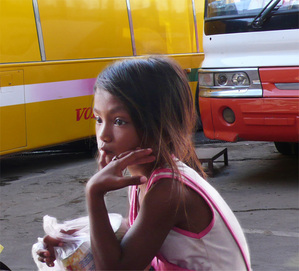 Despite the economic growth, 29% of the population is still living off less than 1.25 US dollars a day, and Cambodia is one of the 33 countries in the world with the highest burden of child under-nutrition. The massive presence of International NGOs and local Associartions is doing a great job by promoting projects that cater towards providing food, shelter, education, training and jobs for the people of Cambodia. Volunteers come in from all over the world, to lend their time and skills to this battered country, where 50% of the population is under the age of 16, and where life-expectancy is between 54 and 57 years. 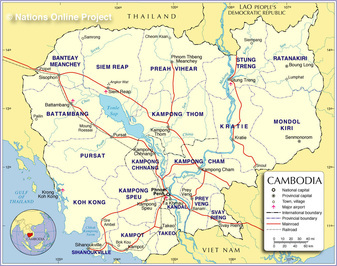 But the most important projects are the ones that encourage Cambodians to become independent. People like Bel and his young team, people who - despite the odds - have rolled up their sleeves and fought back, not only aiming at becoming self-sufficient, but giving a chance of a better life to the children of Cambodia. These are the people who truly deserve to be helped. Unfortunately in a land as poor as Cambodia the battle for survival is constant, and the work and commitment needed to improve the living conditions of these beautiful people is endless. 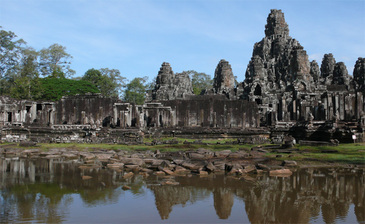 On the bright side, Siem Reap is a town best known for the magnificent Temples of Angkor Wat, and luckily people here are able to make a living on a steadily growing tourism. But the tourist season is short, and despite its best efforts, KILT still has a long way to go before becoming completely independent. The costs of producing the jewellery; of giving a decent salary to the artisans who work on the project; of paying rent and bills; of guaranteeing food, clothing and school to the children who live on the homestead: all this takes its toll at the end of the month. Any emergency that may arise – and here in Cambodia emergencies are a common aspect of daily life: road accidents; diseases and infections; increases in the price of rice; climatic events (KILT recently had to change house due to the terrible floods that periodically hit the country, destroying everything in their wake) – puts KILT at risk of shutting down.